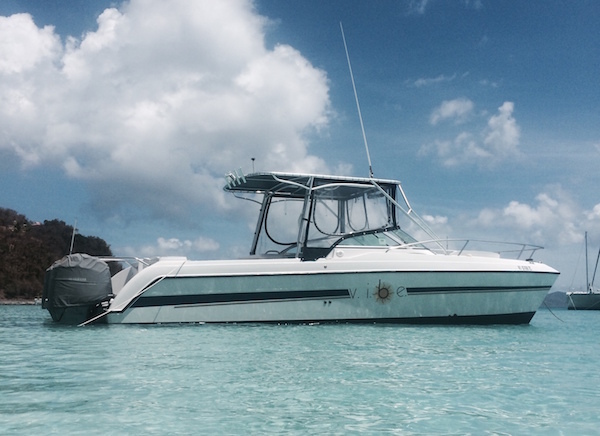 This 26′ Glacier Bay power catamaran is super comfortable and budget friendly–the perfect boat for your St Thomas Boat Rental! She offers comfortable up-front seating and an upholstered seat with cover from the sun across from our very fun and knowledgable captain. 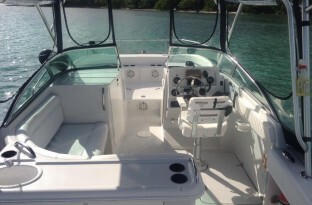 At the rear of the boat, there’s a great little bar area where you can wash your hands, mix a drink and have enough space to comfortably put on our high quality, complimentary snorkel gear. An on-board head (that’s a restroom for your landlubbers!) 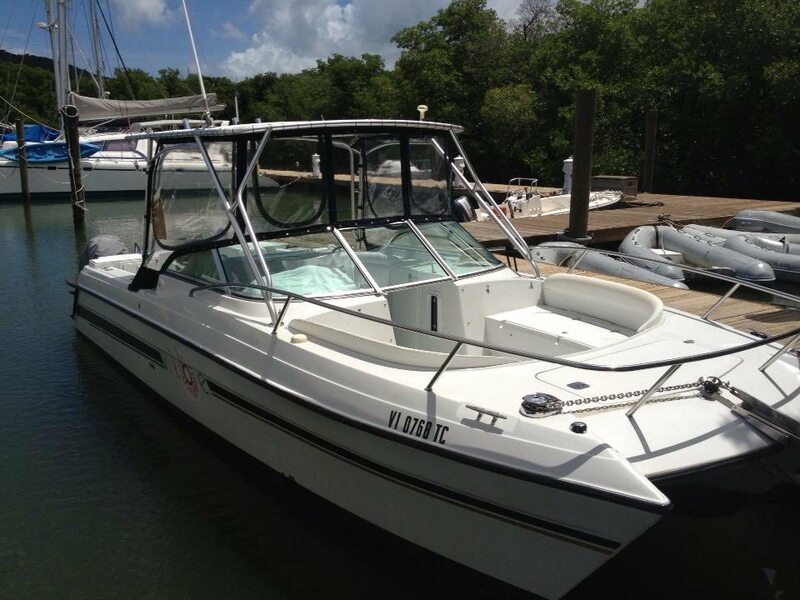 fresh water shower, and wider, more stable platform guarantee a comfortable ride and fun filled day. She’s even equipped with an iPod ready stereo and bottled water, soft drinks and beer are included! 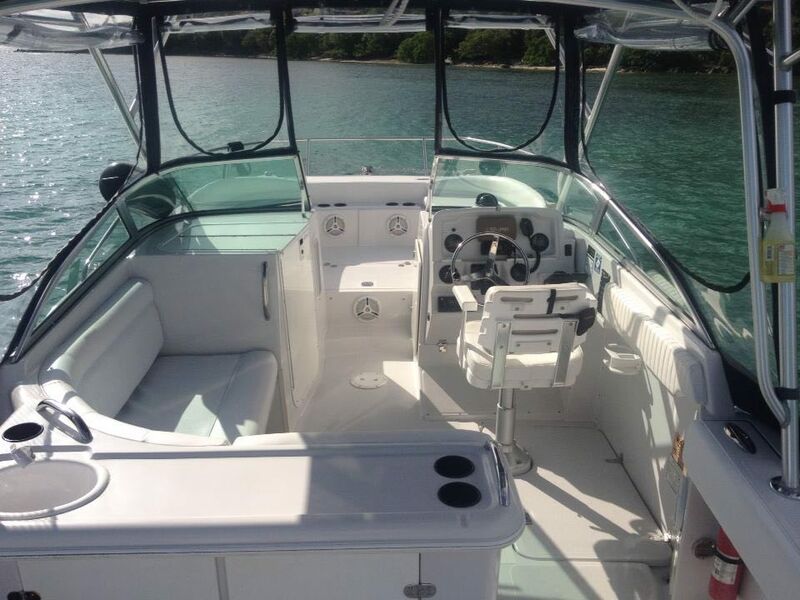 This boat is perfect for groups of up to 6 who want a great, laid back day without breaking the bank! 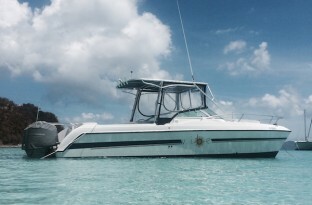 The boat can carry a MAXIMUM of 6 passengers. If your party exceeds that, we can still accommodate your group by using a larger boat, or by adding more boats…just think – you can have your own armada!